As the last design of famous architect Hundertwasser to be built, the Hundertwasser Arts Centre project is being overseen by the Hundertwasser Foundation in Vienna and required constant collaboration in order to best honour Hundertwasser’s legacy. 4Sight’s team of living roof experts worked with a project team of architects, engineers and specialists to design the Hundertwasser Arts Centre Living Roof. This collaborative approach ensures a design outcome that not only meets the client’s needs but will also stand the test of time. Following a thorough and dynamic design process, 4Sight delivered an extensive design package ready for tendering that addressed every aspect of the Hundertwasser Living Roof. Using client feedback and specialist knowledge to design a living roof that satisfied the needs of all stakeholders. 4Sight’s expertise and collaboration throughout the project lead to an outcome that meets the specific requirements of the Hundertwasser Foundation without compromising the integrity of the living roof. 4Sight Consulting have been and are currently involved in the Hundertwasser Art Centre project in Whangarei. The scope of their work has been in relation to design and specification of the Green roof, in collaboration with the wider project team/design and Hundertwasser Foundation, which is a very large and complex element of the build. In many cases the unique challenges and scale included previously unchartered territory which has required “out of the box thinking”. 4Sight, in particular Zoe Avery and Renee Davies attended our call for help and have given generously much of their time, expertise and focus to our project. It is very evident they are passionate about Green Roofs and have a strong industry/green roof community network to leverage and call on. This project is far from an orthodox design and construct and is more of an art piece on a grand scale, with stakeholders on both sides of the globe. The result of this is a very demanding project. 4Sight have gone above and beyond the call of their scope. 4Sight was engaged by Whangarei Art Museum Trust to create a comprehensive design package for the Hundertwasser Arts Centre. 4Sight provided landscape architecture and living roof expertise alongside botanical, ecological and design skills in developing New Zealand’s first comprehensive living roof guide. Our role included researching, writing, designing and illustrating the Guide as well as undertaking the graphic design and desktop publishing for the document. Our contribution did not stop at the publishing of the guide – we then worked with Whangarei District Council to communicate the message through public workshops and online content and forums. The guide provides advice and technical information relevant to the New Zealand and in particular, Whangarei context for implementation of living roof systems. Despite a long history of sod roof use, the modern building industry has only recently seen a resurgence of living roof technology and this rediscovery offers a myriad of exciting potentials for homes and Cities. Talk of living roofs, particularly on commercial buildings, in New Zealand is however in its infancy and is often met with scepticism in terms of its potential as a realistic building option with long term contributions to urban habitat, stormwater and sustainable building outcomes. This guide provides an opportunity to champion this sustainable technology to home-owners, developers and the broader design fraternity as a viable option for the New Zealand environment. Many of the barriers to greater use of this roofing approach in New Zealand are based around lack of locally applicable information, research and shared experiences. This guide is a first step in sharing the growing knowledge base and range of case studies within New Zealand that are now assisting to break down these barriers and providing exciting sustainable building opportunities. The Living Roof Guide that 4Sight has developed, is the first comprehensive living roof guide in New Zealand, providing exciting sustainable building opportunities. 4Sight took a collaborative approach with the project team to achieve the design intention for a pump bike track. They were able to overcome potential contaminated soil hurdles during the consent process by demonstrating that permitted activity conditions could be met during physical works. 4Sight’s planning team also prepared and managed the resource consent process, providing initial feedback on the site and design brief, addressing district and regional planning requirements. 4Sight then handled specific issues raised during the consenting process such as storm water management, intensity and scale of use, noise and other potential effects on residential sites. Non-notified consent was achieved. 4Sight provided planning and contaminated land services to Auckland Council’s Parks department to enable delivery of a new bike park within the Birkenhead War Memorial Park. The track opened in May 2016. 4Sight provided essential specialist and planning services to inform the design and facilitate the resource consent process. This enabled the achievement of a fantastic community asset which promotes exercise, recreation and family fun. 4Sight provided planning and contaminated land services to Auckland Council’s Parks department to enable delivery of a new bike park within the Birkenhead War Memorial Park. Helping renew an archaeological authority permit to continue ecological restoration. Identifying the need for resource consent because of a plethora of rule infringements under the operative district plan, the Proposed Auckland Unitary Plan and National Environmental Standards. Engaging with iwi, Friends of Oakley Creek and local council to devise a collaborative solution. 4Sight recommended a programme of consultation with iwi, which eventually developed into a partnership that allowed Mana Whenua to exercise kaitiakitanga over the awa. Working collaboratively with Ngāti Whātua o Ōrākei, Ngāi Tai Ki Tāmaki and Te Kawerau a Maki, 4Sight drafted a Cultural Monitoring Programme named Ngā Aratohu o Ngā Kaiaroturuki (Cultural Monitoring Guidelines) that facilitated the opportunity for those iwi groups to manage the environment and provide Mātauranga Māori (i.e. traditional knowledge, wisdom, understanding or skill). Your cooperation and services have been excellent. You were always available and never let me or anyone else involved wait. I especially appreciated your ability to bring light into confusing matters, to simplify and clarify all that went my way. Your help with engagement with iwi was of a great value to me. It played a major part in our successful negotiation with all three iwi during our last hui. Above that you sparked real interest in me in the engagement with iwi and I am now keen to apply the newly learned principles in other projects. Designed guidance sheets to help contractors and volunteers identify archaeological remains, as well as protocols to follow should further archaeological sites be encountered. The application for resource consent was accepted and processed without any formal request for further information (i.e. Section 92 requests), and was granted in June 2016. The Archaeological Authority to Modify was finalised a week earlier at the end of May 2016. Weed control and planting works is back underway, and we look forward to seeing the continued enhancements at Te Auaunga Oakley Creek over the next ten years. 4Sight helped Auckland Council deliver an award-winning stream restoration and wetland project that helped to resolve flooding and improve the ecological and amenity features of an urban stream environment. 4Sight assisted with the environmental management and compliance apsects of the Martyn Wilson Reserve project. We also helped the client obtain consents and provided technical input to the project's contamination aspects where it was needed. Control of the water flow from the pond via a weir which was constructed with special features to allow fish passage. Our approach to the project was centred around high levels of trust and collaboration; we worked with several different consultancies and also went to great lengths to involve local residents and schools in the decision-making process. This mutual respect and trust with the local residents, formed during high-level engagement at the project's consultation stage, was built upon by the construction team who established an outstanding level of rapport with the local residents. Our role as the project's independent compliance advisor helped to achieve a greater level of buy-in from all parties. This meant that when design changes were required, a collaborative approach could be used and all parties were aware of the fast turnaround times required. The project was an outstanding success due to the high levels of trust, respect and collaboration between all parties involved. It was such a success, in fact, that it won numerous awards including the Excellence in Environmental Practice award at the New Zealand Engineering Excellence Awards 2013, the 2013 New Zealand Contractors' Federation Environmental Award for projects under $2 million, and the Ingenium Excellence Awards 2013 – Winner projects under $2 million. Stream Restoration and Wetland Project. 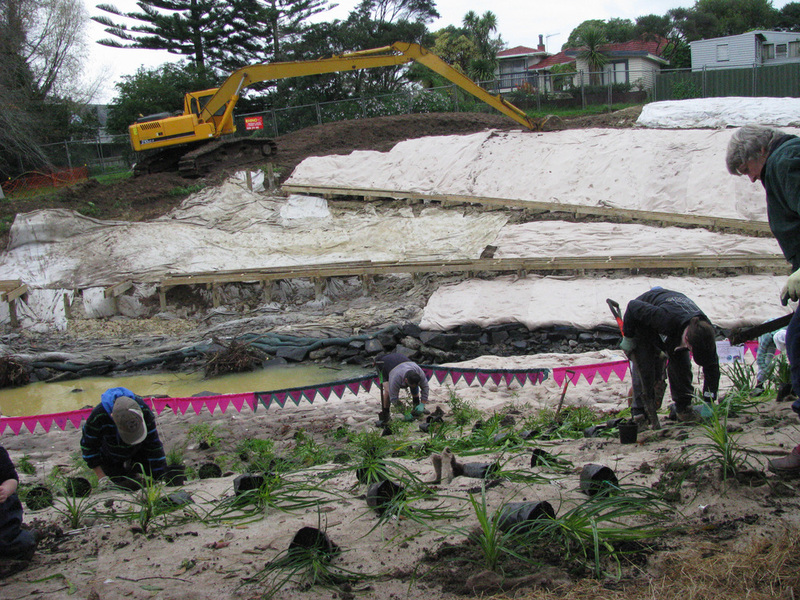 4Sight helped Auckland Council deliver an award-winning stream restoration and wetland project. As a trusted advisor to Auckland Council, 4Sight helped to review the internal implementation and administration of their new Cultural Impact Assessment (CIA) provisions in the Proposed Auckland Unitary Plan (PAUP). 4Sight worked with key council departments affected by the new CIA rules (as both a regulator and an applicant) to identify any issues and opportunities. We then came up with short, medium and long-term solutions to respond to the new requirements whilst maintaining their original intent. We provided these solutions to the council and they were then discussed with Mana Whenua representatives at a hui to help identify the best way forward. We worked with key council departments to gain a detailed understanding of the issues and the opportunities provided by the new rules. This helped us develop solutions for the council that reflected the individual needs and constraints of each department, whilst also helping the council maintain a coordinated and consistent relationship with Mana Whenua. Following our advice, Auckland Council has put measures in place to respond to the rules in a way that helps to avoid some of the potential issues that were raised when the PAUP was introduced. A key recommendation to establish an in-house public Mana Whenua consultation facilitation service was adopted. This provides an important service for “mum and dad” type applicants who may have no idea how to contact or consult with Mana Whenua. As a trusted advisor to Auckland Council, 4Sight helped to review the implementation and administration of their new Cultural Impact Assessment (CIA) provisions in the Proposed Auckland Unitary Plan (PAUP). 4Sight has been providing planning and environmental related services to local government clients since 2001, and in doing so has helped to deliver more than $400 million of new public stormwater infrastructure in the Auckland Region. Identify all required permits including those under the RMA (District, Regional and NES), Historic Places Act, Reserves Act etc. Manage health safety and environmental construction risks and drive best practice through outsourced compliance management services. Our ongoing success in this sector is due, in no small part, to our understanding of engineering and physical works project delivery. 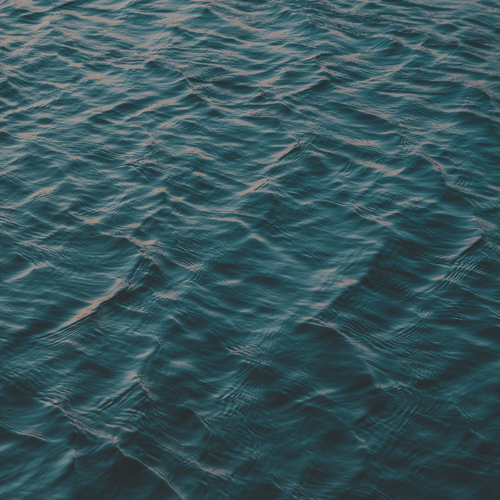 We blend this knowledge with an in-depth understanding of stormwater management, environmental impact assessment, resource consent acquisition and compliance. The combined skill sets, experience and working relationships we've built up from working on the programme for so many years means we can effectively communicate across the entire Stormwater Programme – from design engineers to compliance officers through to members of the public. We also recognise that the Council's priority is to ensure that Auckland's ratepayers receive good value for money whilst also balancing the desired environmental, social and economic outcomes. 4Sight help to achieve this by enforcing a working culture of getting things right first time and understanding Council’s business from high-level strategies to their translation through on-the-ground project delivery. Our longstanding and ongoing involvement in the programme speaks for itself. It not only demonstrates our ability to consistently meet consenting time frames, thus allowing construction to proceed as planned, but it also shows our ability to collaborate and work as a team with a large number of different consultancies and contractors. 4Sight's involvement throughout the entire project life cycle has enabled our planners to gain a better understanding of the constraints associated with implementing resource consents and construction works. And as a result, no projects to date have proceeded to a public hearing process or the Environment Court. 4Sight has been providing planning-related services to local government clients since 2001, and in doing so has helped to deliver more than $400 million of new public stormwater infrastructure. As a trusted advisor to the New Zealand government, 4Sight has provided policy analysis and advice to Te Puni Kōkiri on a range of environmental issues across government since 2012. 4Sight has been providing Te Puni Kōkiri with technical analysis and policy advice on a range of environmental issues across government since 2012, thanks to our expertise in Te Tiriti o Waitangi and Māori environmental issues. We have been actively involved in cross-agency work programmes all across government, with the aim of increasing Māori participation in RMA processes. One of 4Sight's senior planners, Jerome Wyeth, also led the development of two guidance documents which provide guidance on developing iwi management plans and cultural impact assessments. As part of our work for the client, 4Sight has developed close working relationships with several relevant agencies. We have collaborated on key work programmes with these agencies, with an end-goal of achieving a mutually beneficial outcome for the client. 4Sight's main strength in working with the client is our ability draw on practical RMA planning experience and knowledge of Māori environmental issues, which we use to deliver policy advice that is relevant, evidence-based and understandable. Through our work with the client, 4Sight has been able to ensure that resource management reforms incorporate proposals to improve the participation of Māori in resource management processes. If enacted, these proposals will clarify iwi/hapū's role in RMA planning. Launched in 2001, the Quality Planning Website provides resource management practitioners with robust guidance on all aspects of the Resource Management Act (RMA). 4Sight has contributed to this vital tool, ensuring that it always reflects current best practice and the latest legislative developments. Managing the day-to-day aspects of the Quality Planning programme. Our approach is also underpinned by continually remaining up-to-date with emerging changes to the RMA and associated legislation, and to the development of other new legislation relevant to resource management combined with our extensive practical experience in delivering projects. 4Sight has been involved in the Quality Planning Website for many years. Our work ensures that industry professionals get up-to-date guidance on RMA processes and other related legislations, topics for new guidance notes are fully investigated and the Quality Planning programme has appropriate project management support when needed. Launched in 2001, the Quality Planning Website provides resource management practitioners with robust guidance on all aspects of the RMA. 4Sight has contributed to this vital tool, ensuring that it always reflects current best practice and the latest legislative developments. 4Sight advised the Crown in its response to the MV Rena resource consent application. The container ship MV Rena grounded, broke up, and sank on Astrolabe Reef in 2012. When the MV Rena's owners applied for consent to abandon the wreck on the reef and to discharge contaminants from the sunken cargo on an ongoing basis, the Crown engaged 4Sight to review the application documents and advise them on statutory process and environmental issues. We then prepared an “all of government” submission, and worked with a group of technical experts and Crown Law to provide expert planning evidence for the hearing which took place in late 2015. As part of our hearing work we took part in the conferencing of expert planning witnesses both before and during the hearing. Our role was to help the Crown achieve a balanced outcome of environmental, cultural, risk and economic factors related to management of the wreck. The decision of the commissioners was that the wreck was allowed to stay, subject to a suite of conditions. 4Sight's initial report to the Crown required a substantial amount of documentation to be reviewed in a very short period of time. As a result, the work was shared between two of our principal planners. We worked closely with Conservation staff to prepare the government submissions. We also worked alongside a wide range of technical experts to prepare the hearing evidence and to represent the Crown’s position during witness conferencing. Act as an expert planning witness in presenting evidence and in contributing to witness conferencing. The MV Rena ran aground just off the Bay of Plenty coast in October 2011. 4Sight has been aiding and advising the Crown in the hearings process for a resource consent application to abandon the container ship on the Astrolabe Reef. Since late 2013, 4Sight has been helping local authorities (Kapiti Coast District Council, Porirua City Council, Upper Hutt City Council and Wellington City Counci) to respond to the processes that flow on from the approval for Transmission Gully, 27 kilometres of new 4-lane motorway due to open in 2020. Proposed changes to the project's design and consent conditions. The project requires intensive collaboration between the affected local authorities, and 4Sight plays an active role in making sure that the collaboration is channelled in a way that is both productive and mutually beneficial for all parties involved. Take into account a wide range of environmental, engineering, project management and process issues. Though most of it will go unseen by the public, 4Sight's work on this project will aid the construction of a major motorway that passes through environmentally and physically challenging terrain. Our work will ensure that the project meets its environmental and social objectives, has minimal adverse effects on sensitive natural environments in the area and is built on time, thus allowing it to make transport faster and easier for drivers in the Wellington region. Since late 2013, 4Sight has been helping local authorities (Kapiti Coast District Council, Porirua City Council, Upper Hutt City Council and Wellington City Council) to ensure that the new 4-lane motorway, due to open in 2020, meets its environmental objectives, has minimal adverse effects on the sensitive natural environments and is built on time.